Chute for CLO2 Washer Vat – FCM Products Inc. 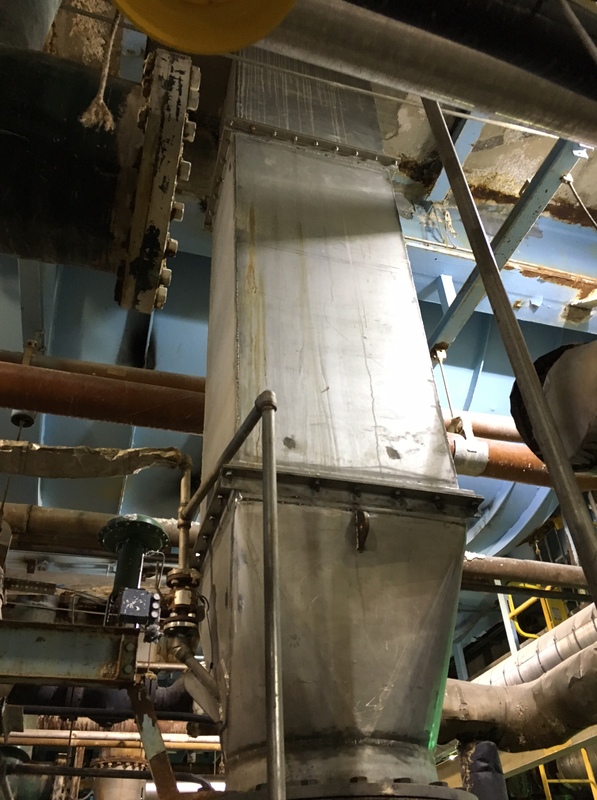 Highly corrosive chemicals constantly pass through this chute for the CLO2 washer vat at Domtar’s Ashdown mill, so we built it using AL-6XN alloy which is high in chrome content and maximizes the life cycle of the product. If we had used stainless steel instead, the chute would have melted like wax within a month.